Painted lets you see all the colours in your yarn. At last! Painted is available to buy. I know many of you have been waiting patiently for this pattern. I have a little surprise. There is a DK/light-worsted shawl version too, called Fresco. Both patterns are available together in an ebook called Palette. It’s just possible I missed myself at the Edinburgh Yarn Festival. Luckily Allison Thistlewood made the journey North. After seeing just quite what I was missing via Alli’s Instagram feed over the weekend, I asked her to share her exploits here. One of the things that I enjoy most about working with Louise is the very genuine passion she has for the knitting and fibre community – and the creativity that thrives within it. 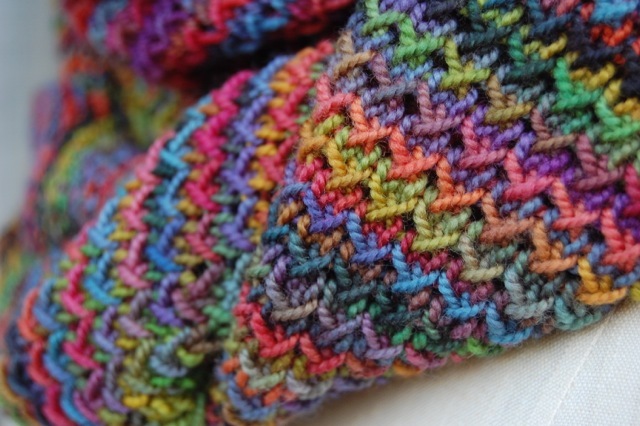 If you haven’t gathered it yet from reading her blog, Louise is a real knitter’s Knitter. And I’m not just saying that because she asked me to guest blog for her today! All kidding aside, what I’m getting at is that Louise is just like the rest of us knitters who are a just a wee bit crazy about our craft – especially when it comes to a yarn show. She loves the energy, the vibe, and oh! the yarn fumes from the smooshy goodness! 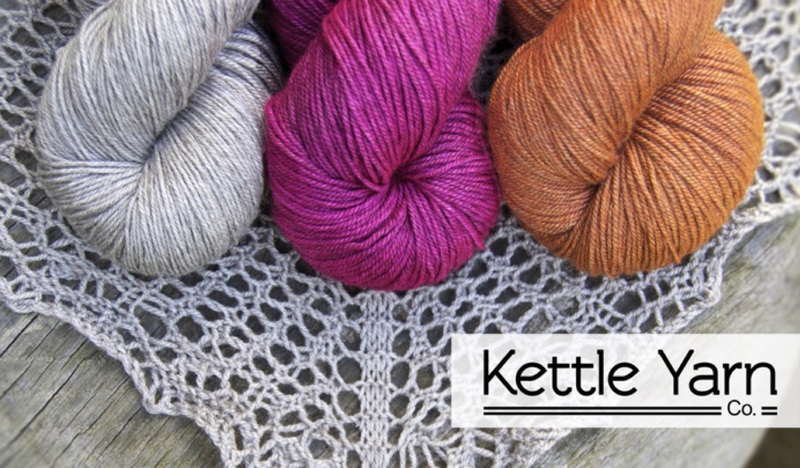 Meet the indie dyer: Kettle Yarn Co.
It’s probably no surprise that one of my favourite things as a designer is all the delicious yarns there are to play with! As I’ve been working on big design project this year, it’s meant an opportunity to explore even more wonderful yarns – and share my findings with all of you. One of the new indie dyers that I’ve fallen for is Linda from Kettle Yarn Co. Linda only launched Kettle Yarn Co. in 2013 but already her yarns have generated a buzz and loyal following in the UK knitting scene. Linda was kind enough to answer some questions about what it’s like spending her days surrounded by colour and yarn.